Queen for cross-country skiing Cogne offers 11 skiing loops in addition to more than 80km slopes, with tracks winding through woods, mountain streams and bridges, for a full immersion in a completely uncontaminated landscape. 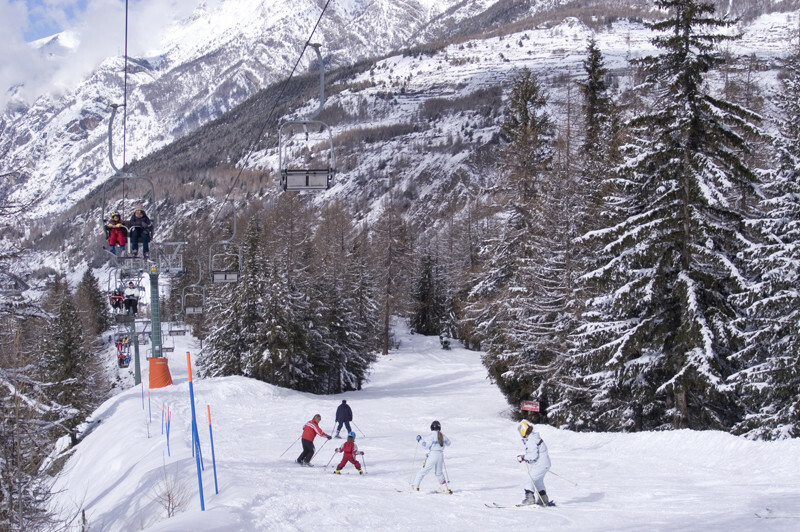 small friendly complex of 5 slopes with a chair-lift, a ski-lift and a cable car that goes up to 2252 meters, will give you the chance of skiing without waiting at long queues within the boundaries of the Parco Nazionale del Gran Paradiso. All slopes are facing north which is a guarantee for the snow to be always in top condition. Beginners can enjoy learning to ski on a baby slope. Get snow reports and powder alarms from Cogne straight to your inbox!